In Anatomy of a Genocide, Omer Bartov explains that ethnic cleansing doesn’t occur as is so often portrayed in popular history, with the quick ascent of a vitriolic political leader and the unleashing of military might. It begins in seeming peace, slowly and often unnoticed, the culmination of pent-up slights and grudges and indignities. The perpetrators aren’t just sociopathic soldiers. They are neighbors and friends and family. They are also middle-aged men who come from elsewhere, often with their wives and children and parents, and settle into a life of bourgeois comfort peppered with bouts of mass murder. 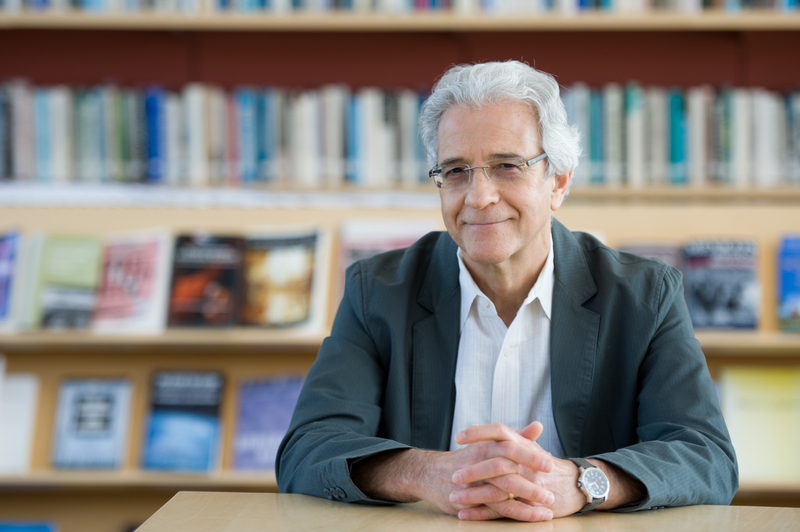 Omer Bartov is the John P. Birkelund Distinguished Professor of European History at Brown University. He is the author of Anatomy of a Genocide: The Life and Death of a Town Called Buczacz, along with several other well-respected scholarly works on the Holocaust and genocide, including Germany’s War and the Holocaust: Disputed Histories and Erased: Vanishing Traces of Jewish Galicia in Present-Day Ukraine. He has written for The New Republic, The Wall Street Journal, The Nation, and The New York Times Book Review. He lives in Cambridge, Massachusetts. "Mr. Bartov’s anatomy of genocidal destruction is a monument of a different sort. It is an act of filial piety recollecting the blood-soaked homeland of his parents; it is a substantive contribution to the history of ethnic strife and extreme violence; it is a harrowing reminder that brutality and intimacy can combine to destroy individual lives and reshape the destiny of a region and its peoples: history as recollection and as warning." "Fascinating...This resonant and cautionary history demonstrates how the peace was incrementally disrupted, as rage accumulated and neighbors and friends felt pitted against one another." "If you imagined there might be no more to learn, along comes this work of forensic, gripping, original, appalling brilliance." — Philippe Sands, author of East West Street: On the Origins of "Genocide" and "Crimes Against Humanity"
"Combines a long historical perspective with an intimate reconstruction of who the perpetrators and victims of the Holocaust had been. A local history opening our understanding of the phenomenon at large. A brilliant book by a master historian." "This is a gripping, challenging, and masterfully written book...Understanding the destruction of the Jews as part of genocidal perils that have not passed even today, the horrific case of Buczacz thus comes as a powerful warning against bigotry everywhere at any time." "Omer Bartov's masterful study of Buczacz — marked by comprehensive scholarship and a compelling narrative — exemplifies the very best in current Holocaust history writing." "A long-awaited and essential contribution to the history of the Holocaust. 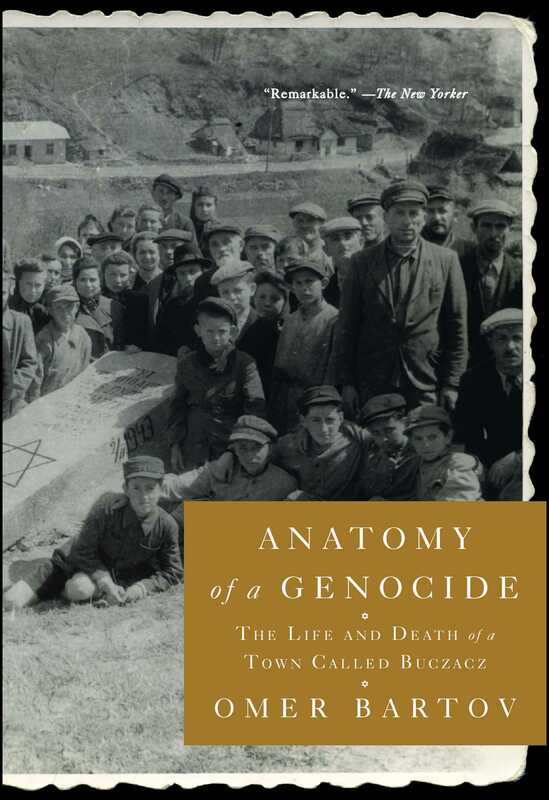 This thoroughly researched and beautifully written study of the deep roots and immediate circumstances of genocide in an East Galician multiethnic town...is an exemplary microhistory of the Holocaust, a model for future research." "The result is breathtaking, painful and astonishing…"
"Bartov’s book is a significant contribution to the holocaust literature. However, the book’s contribution is even more significant in understanding the complexity of interethnic conflicts...Anatomy of a Genocide furnishes well-lit imagination, though shaded with sadness, beneficial for the communities trapped into mutual impairment in various parts of the world, including Chechnya, Palestine, Kashmir, Burundi, and Rwanda." "At once a scholarly and a personal book."